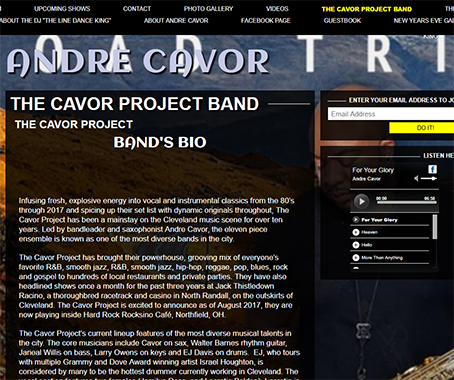 Infusing fresh, explosive energy into vocal and instrumental classics from the 90’s through 2018 while spicing up their set list with dynamic originals throughout, Cavor Project has been a mainstay on the Cleveland music scene for over ten years. 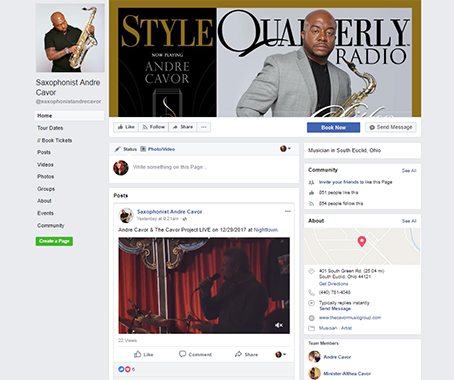 Andre Cavor, bandleader and saxophonist, leads the 10 piece ensemble. 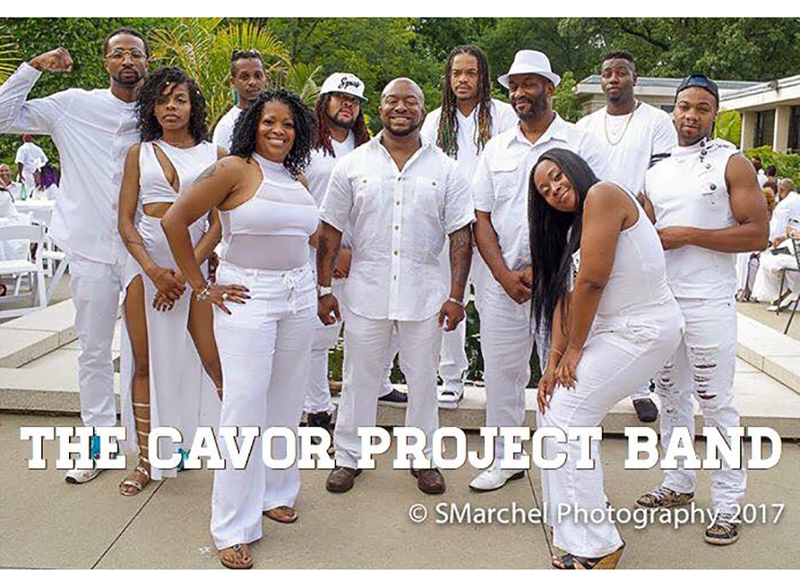 People in the area know Cavor Music Group as one of the most diverse bands in the city. 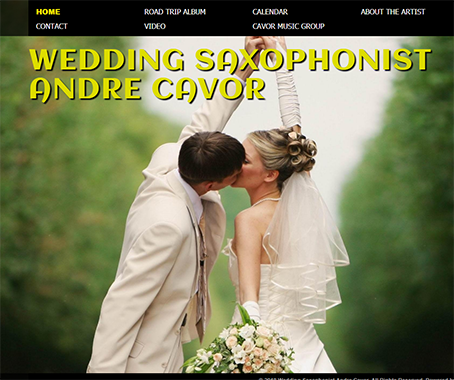 We cover every musical aspect of your wedding. 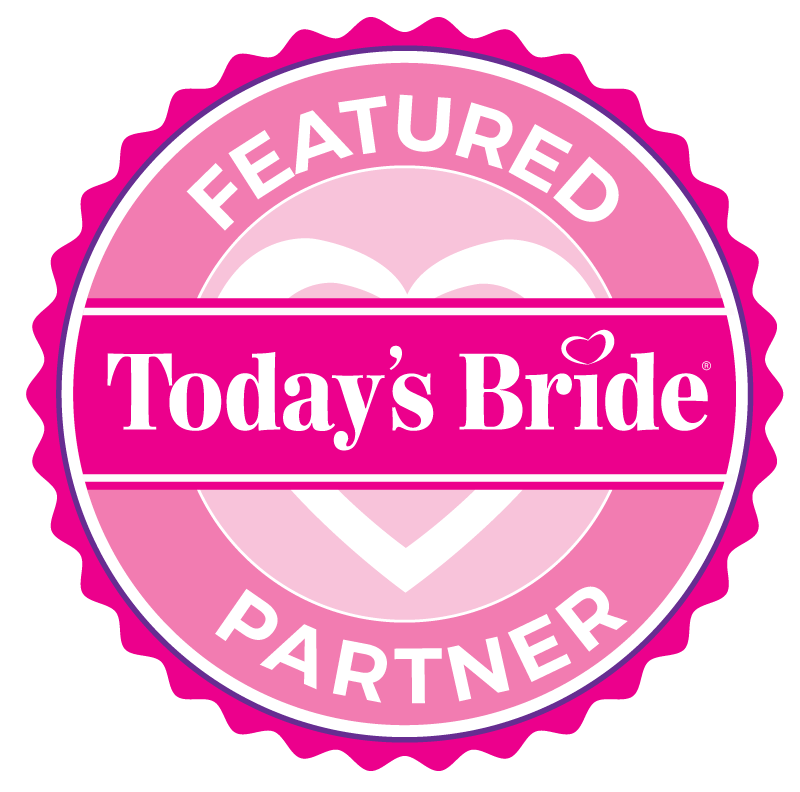 From single musicians for your ceremony to large 10-piece bands or an interactive, line-dance-teaching DJ for your reception – Cavor Project can create a custom package for your wedding day. 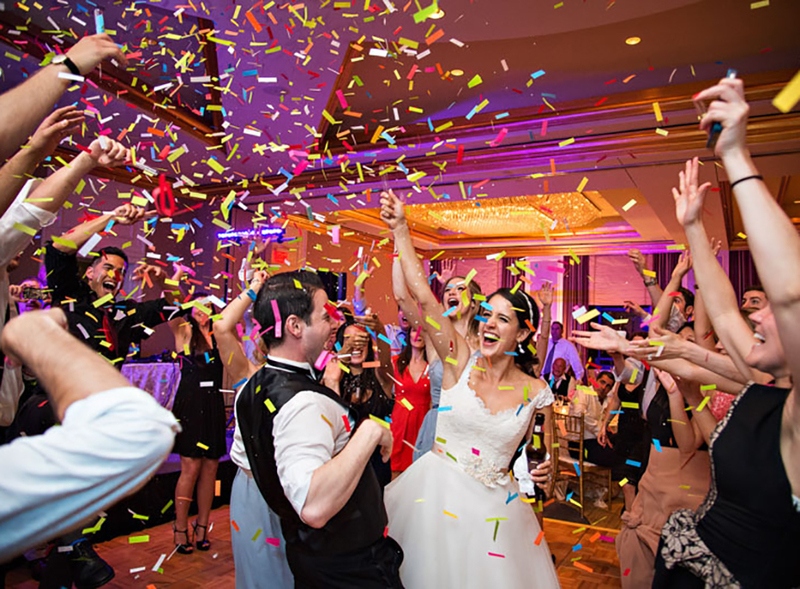 We will keep you and your guests dancing all night long! Check us out online. We would love to hear from you! I love to play at weddings. 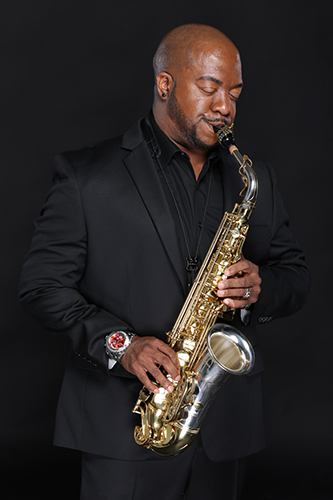 I can play the Saxophone while the Bride is walking down the aisle.